Lab-on-a-chip technology wherein which laboratory operations (medical diagnoses) can be performed on a small scale, via the use of miniaturized devices [of a few nanometers in length], has been in development for over a decade. This is in contrast to having to use equipment that may take up entire rooms, or sections of entire rooms in buildings, in order to perform said medical diagnoses. According to article, "Disposable Lab-on-a-Chip Cures Diagnostic Debacle", by R. Colin Johnson, "traditionally lab on a chip technology used semiconductor fabrication equipment (akin to what is used to make the silicon chips used by computers), to create a web of tiny microfluidic channels, pumps and reagent chambers, capable of testing a patient sample for maladies in just a few minutes. (This is shown in the inset picture above). Unfortunately, the cost of these chips has never been reduced enough to make them economically feasible to throw away after use". However, this is changing, due to research by Purdue University. Purdue researchers have developed a disposable lab-on-a-chip technology, that, according to the above article,"Instead of using lasers to make microfluidic channels on silicon or glass substrates with semiconductor equipment, the lasers are used to make tiny channels on cheap paper substrates. This results in a device that can test for dozens of maladies simultaneously, and yet it is inexpensive enough to throw away after a single use". The paper used (which is about the size of a letter size paper), however, has to be water-repellant (hydrophobic), such as parchment or wax, so that the lasers can cut patterns in it. The hydophillic (water loving) channels formed, act like wicks that transport (patient) liquids down them, without the use of MEMS (micro-electro-mechanical system) pumps required by traditional labs-on-a-chip technologies. In order to test for certain maladies, silicon dioxide (silica) microparticles containing test reagents, are deposited in the channels. The patient's fluid sample will simply diffuse (spread) over them. The reagents that are activated by the fluid sample, indicating a positive reaction, will then glow. This glow is detected by an electronic reader...which then tell which maladies tested positive in the patient's fluid sample. This technology has great implications for the health and well-being of Caribbean nationals, as it will make medical diagnoses, here, much more affordable. This is particularly true in cases where we still have to send patient samples abroad for testing/diagnoses by equipment that is too expensive for us to buy here in the Caribbean. E.g in the case of cell degenerative disease...which causes the malfunction of cells and leads to abnormal aging. (This disease results in muscular and brain malfunction - leading very young persons e.g. children, to age prematurely, with all the negative side effects of aging). ...We still have to send patient samples abroad, for testing for this disease, as we don't have (and can't afford) the equipment for testing said disease, here in Jamaica. This process can be quite lengthy (weeks) and attracts costs for transportation, diagnosis and equipment use. 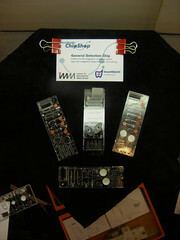 So although disposable lab-on-a-chip technology is still in development, this technology, when available "on the shelf" (released to the market), will allow Caribbean governments to save millions of US dollars, as tests that would otherwise have been too expensive to perform in the Caribbean, can now be done with affordable lab-on-a-chip technology. Thus giving these governments competitive advantages in health tourism and also enabling more efficient and effective medical care, here. Because of the financial and human welfare benefits to be derived from this technology, it behoves Caribbean governments and other governments in the rest of the developing world,to pay keen attention to developments with this technology...as they stand to reap huge benefits from it. (I would like to thank brucesflickr for the use of his Flickr inset photo of a Microfluidic detector used on a traditional lab-on-a-chip. Note the size of it. This would now be replaced by a paper-based system in the new, disposable lab-on-a-chip). So more magnitude 8 earthquakes...will cause greater shifts? I really hope that our scientists are not thinking of intervening in this process. Like it or not, natural disasters are a natural part of earth's renewal. What are your disaster mitigation strategies? Maybe if you haven't considered it...your important data should be stored in other countries/continents besides your own. You may want to consider virtualization: Resource virtualization is to decouple (separate) the user’s perception of hardware and software resources from the actual implementation of these resources. 1) Platform virtualization, where the operating system is separate from its underlying resources (data, application and machine). 2) Memory virtualization, where RAM resources from networked systems are aggregated into a virtualized memory pool, so that it can be used more efficiently. 3) Storage virtualization, where logical and physical storage are separate. See diagram here. 4) Application virtualization, whereby applications can be run on alien machines not originally made to run these applications. E.g. a computer software program that runs from a removable storage device like a USB flash drive. 5) Data virtualization, where data is presented as an abstract layer, separate and apart from underlying database systems, structures and storage. (See diagram here). 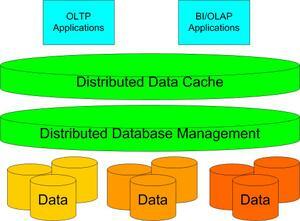 6) Database virtualization, which is the decoupling of the database layer, which lies between the storage and application layers within the application stack. (See diagram here). 7) Network virtualization, which is the creation of virtual private networks which address space concerns within or across network subnets. (See diagram here). Maybe, instead of a local workforce, you should consider a global workforce...which can be contracted and expanded, seamlessly, via the Internet, now made possible by intermediaries such as Elance.com, oDesk.com and LimeExchange.com. If Biblical prophecy is to be believed, then earth is in for more natural and man-made disasters that will increase in magnitude and effect. ...More severe floods, earthquakes, hurricanes, tornadoes, tsunamis, drought, famine...more wars and rumours of wars. It is said that in the next 10-15 years, water resources will be so limited, that water will become more valuable than money. How is your country preparing? ...How is your business/company preparing? Please take the time to read the articles referenced in our "Sources Include" section, below. (I would like to thank filipaopereire , MoxNewsDotCom and Anglosearch for the use of their YouTube inset videos above). NASA Plans to Rock Our World! 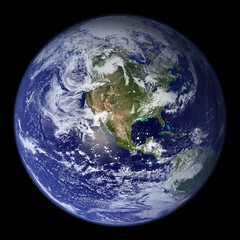 Ok friends, now this may seem Sci-Fi-ish...but NASA plans to move the earth, so as to prevent her from over-heating. (NASA is National Areonautics and Space Administration, the US-based government agency responsible for the US space program). According to NASA scientists, the sun is heating up and if earth is not moved from her present orbit around the sun...she will end up being fried. Scientists moving the earth to a different orbit, ensures that her longevity will be extended for another 6 billion years and helps to alleviate the effects of global warming on her. Now, as you'll notice from the date of one of the sources of this information: June 10,2001...this idea has been around for some time. (The story was resurrected, this week, on an Australian Discussion Board on Yahoo7News, Australia). Scientists plan to attach a rocket to an asteroid and use this missile to change the gravitational pull of the earth towards the sun, thus knocking her out of present orbital path, to a new, much cooler one. According to NASA scientists, the hardest part about this endeavour is getting the timing right, to carry out this feat. What do you think about this proposal?..Do you think that this would be a great idea? Or do you think we're trying to interfere in things we shouldn't...that only our Creator should handle? (I would like to thank woodleywonderworks for the use of his Flickr inset photo above, of the earth, from outer space).